These and literally a million other primary-source documents telling the amazing story of the biological revolutions of the 1950s and 1960s, together with their legacies in the fields of medical genetics and genomics, have been collected together for the first time and are being made freely available to the public on the world wide web beginning today by a group of five institutions led by the Wellcome Library of Great Britain. Credit: James D. Watson Collection, Cold Spring Harbor Library & Archives. Entitled Codebreakers: makers of modern genetics, the web-based resource, the culmination of a massive digitization effort, provides public access to first-hand notes, letters, sketches, lectures, photographs and essays from the circle of brilliant minds responsible for uncovering the structure of DNA. The site lays bare the personal and professional thoughts, rivalries, blind alleys and breakthroughs of the scientists whose ideas transformed our understanding of the matter of life. 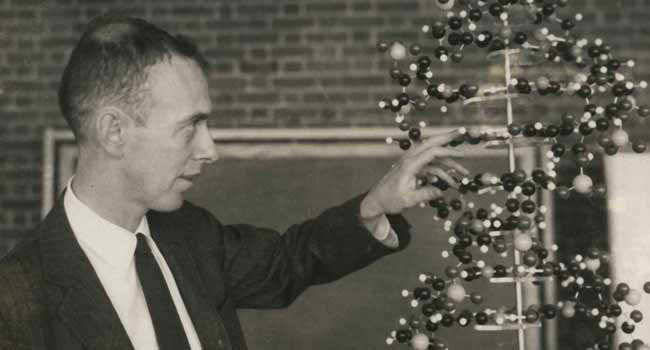 Cold Spring Harbor Laboratory’s Library & Archives collections, which include the papers of Nobel laureates James Watson and Sydney Brenner among others, are a key source for Codebreakers. 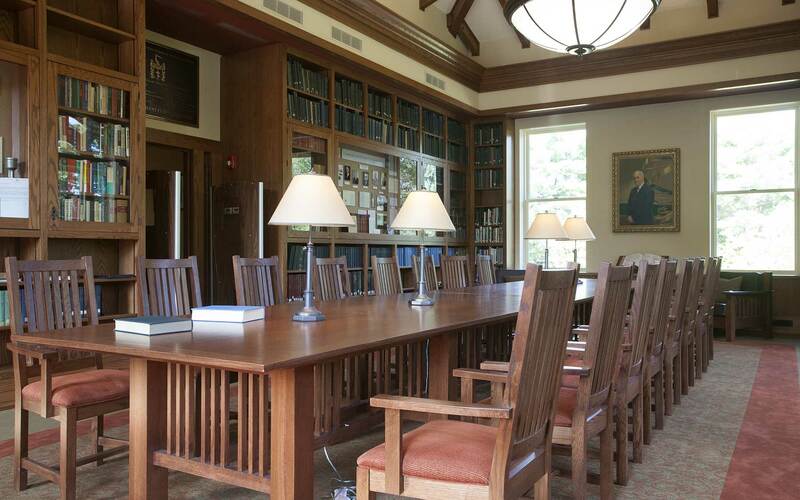 “CSHL was very happy to participate in the project,” says Ludmila Pollock, Executive Director of CSHL’s Library & Archives. “It gives me a great pleasure to know that the extensive collections of two giants in the field of molecular biology and genetics will be available in digital form. The digitized images from our collection will be available on CSHL Library website as well as at the Wellcome site. “It was a good experience to collaborate with the Wellcome Library as well as with other participating institutions: Churchill Archives Centre Cambridge, the University of Glasgow, King’s College London and University College London,” Pollock added. In addition to the Watson and Brenner papers, other digitized collections brought into association by the project include those of Rosalind Franklin, Lionel Penrose, J.B.S. Haldane, Guido Pontecorvo, James Harrison Renwick, Malcolm Ferguson-Smith and Maurice Wilkins. They join material from the Wellcome Library’s own holdings including the papers of Francis Crick, Fred Sanger, Arthur Ernest Mourant, Peter Medawar, Hans Grüneberg, Honor Fell and Gerard Wyatt. Codebreakers sits within an entirely redesigned Wellcome Library website, and a new media player allows for the close reading, downloading and embedding of digitized files. The content is free to all, and users can log in using Library membership, Facebook or Twitter accounts. A timeline and essays on key individuals and research groups offer navigational aids through the records. The Wellcome Library’s Codebreakers project is the first phase of a major digitization program which will create integrated online content, featuring digitized books, archives, films, photographs and audio covering every aspect of the history of medicine and biomedical science. A further half million pages will be added to Codebreakers over the next six months, and £5.8million has been set aside for the next phase of the Library’s digitization plans, focused on material relating to neurology and mental health. The Library itself is also expanding, as part of a £17.5million development of Wellcome Collection due for completion in summer 2014. The James D. Watson (1928 -) Collection, featuring biographical papers, correspondence, notebooks, and photographs and video, covering his entire career. The Sydney Brenner (1927-) Collection, featuring correspondence with Francis Crick, between 1945 and 1979 and archival material, including notebooks, photographs and writings between 1948 and 1992. The archive of Francis Crick (1916-2004), featuring extensive files of correspondence, scientific notes, writings in draft, laboratory notebooks, and papers over a period of more than fifty years, tracing both the emergence of molecular biology as a scientific discipline, and Crick’s formative and central role as a scientific theorist. The Biochemical Society: laboratory notebooks of Fred Sanger (1918-), from the 1940’s to the 1980’s detailing the elaborate molecular structure of insulin and the development of the first DNA sequencing technique. The archive of Arthur Ernest Mourant (1904-1994), a geologist, chemist, haematologist, and geneticist, comprising extensive papers from 1919 to 1996, revealing his contribution to the study of human blood groups and their distribution. The archive of geneticist, Hans Grüneberg (1907-1982) who worked on developmental genetics in the mouse, featuring correspondence between 1922-1982 with colleagues and friends, organisations and institutions. The papers of serologists, Robert Race (1907-1984) and Ruth Sanger (1918-2001) revealing their contribution to the study of blood groups and genetic mapping of the X chromosome, including personal papers and correspondence, research notes, typescripts of lectures delivered, newspaper cuttings, and photographs. The archive covers the years from 1925 to 1999. The records of the Medical Research Council Blood Group Unit covering 1927-1993, including Robert Race’s research papers on human genetic markers, correspondence, research notes, and pedigrees on blood grouping investigations and a comprehensive collection of photographs recording staff at work and play. The archive of Sir Peter Medawar (1915-1987) relating to his career, scientific research, his writings on the philosophy of science, and biographical material that reveal his major contribution to understanding immunological tolerance spanning the years 1937-1991. The papers of the Eugenics Society from 1863-2008, including correspondence, press cuttings, propaganda and publicity material, and papers accumulated by Dr Marie Stopes that reflect changing understandings of heredity and genetics. The papers of Carlos Paton Blacker (1895-1975) psychiatrist and secretary of the Eugenics Society, cover almost all his life between the years 1909-1980 and reflect his long and active career in psychiatry, his return to military duty in the Second World War as a Regimental Medical Officer, and his activities as Secretary to the Eugenics Society and involvement with Birth Control related organisations. The archive of the scientist/zoologist, Dame Honor Bridget Fell (1900-1986) covers the years1919-1988andincludes her laboratory notebooks and correspondence as Director of the Strangeways Research Laboratory, Cambridge, that reveal her contributions to the development of the ‘organ culture method’ that allowed cells to be grown in a lab. Laboratory notebooks, correspondence and other papers of Gerard R. Wyatt (1925-), related to his research on nucleic acids, including DNA between 1949 and 1955. The papers of Rosalind Franklin (1920 –1958), including posthumously collected material about Franklin, covering the period 1937 to 1976. Large scale selection from the MRC Biophysics Unit, focused on the early history of X-ray crystallographic diffraction, including research and papers notes and correspondence by and related to Maurice Wilkins (1916 –2004). The Guido Pontecorvo (1907 – 1999) Collection, including research material, correspondence, lecture notes and slides, from the 1940s to the 1990s. The James Harrison Renwick (1926-1994) Collection, dating chiefly from the period of Renwick’s human genetics research from the mid-1950s to the early 1970s. The Malcolm Ferguson-Smith (1931-) Collection, dominated by very substantial correspondence dating from 1957 onwards. The Lionel Penrose (1898 –1972) Collection, including his professional and personal papers, essays, correspondence and photographs from 1915 to his death in 1972. The J.B.S. Haldane (1892 – 1964) Collection, including notes, papers and correspondence, 1935-1957.